Discussions of THAAD stem from UNC/CFC/USFK Commander General Walter Sharp’s nomination hearing in 2008, where he emphasized that South Korea must develop a systematic missile defense solution including the deployment of THAAD.4 In 2011, General James Thurman stated at his nomination hearing to the Senate Armed Services Committee that the system that would best support the layered defense is a THAAD system which could be used to improve early warning for the Korean Peninsula as well as enhance Ballistic Missile Defense (BMD) early warning in the region.5 But it was not until more recently that Commander General Curtis Scaparrotti recommended the deployment of THAAD to South Korea during his address at a national defense forum last June.6 His remarks led to the presumption that the deployment of THAAD to South Korea would bring the country into the US missile defense system, further politicizing the highly sensitive issue. 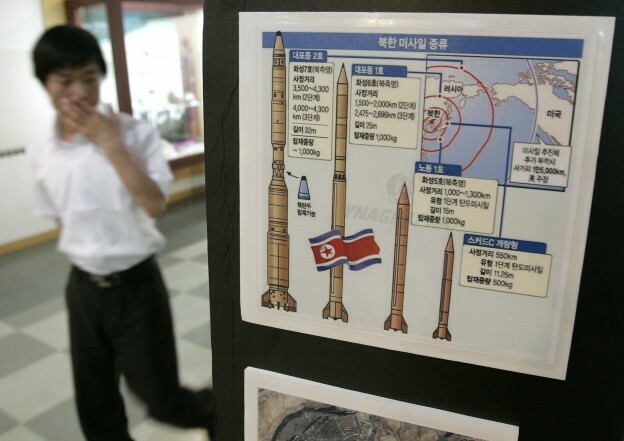 It is believed that the discussion within the US military was strongly triggered by North Korea’s missile tests on March 26, 2014, when it fired two mid-range Rodong missiles which only flew about 650 kilometers before dropping into the East Sea. Since Rodong’s estimated range was 1,000 to 1,500 kilometers, it was believed that those missiles were fired at a higher than usual launch angle. This test alarmed the two allies. As follows, the discussion on THAAD should be evolving around North Korea’s growing nuclear and missile capabilities and South Korea’s defense capabilities. Large-scale attacks from countries such as Russia and China are not the subject of US missile defense, despite common misconceptions. The real mission is to counter the estimated 6,300 ballistic missiles outside the control of the United States, NATO, Russia, and China. The US missile defense system excludes Russia and China from that mission, and current discussions regarding future defense proposals indicate that the United States has neither the intention or capability to change that. The United States affirms that its construction of a missile defense system in Europe and Asia would not change the existing strategic balance with Russia and China for several reasons. The construction of a missile defense system targeted at a powerful nation would lead to a highly costly arms race. If one side were to begin constructing a defense system, the other side would increase its armaments system for attack in order to incapacitate the defense system of the other side, leading to serious ramifications for the United States if it were to direct its construction of this system at a powerful country. Furthermore, the construction of a missile defense system would change the strategic calculations of the other country and increase the possibility of an outbreak of war. Even if a missile defense system was constructed and a counterattack staged after a preemptive strike, the situation would prove to be meaningless because of the other side’s strong defense system. With the increased strategic distrust between the two sides, the benefit of a preemptive strike does not align with any strategic benefits for the United States. As for capability, establishing a missile defense system aimed at Russia and China is unrealistic. Considering the nuclear warhead and ballistic missiles currently possessed by Russia and China and their sophistication, the occurrence of a military conflict would place the United States in a position unable to defend itself from a major attack by either country. For example, suppose that 100 missiles were launched to strike US territory, even in the eventuality that advanced technology is able to shoot down 70 of them, the remaining 30 would still reach the United States. Failure to shoot down missiles and repeated attempts to shoot down missiles are entirely different circumstances. Taking into account that making a missile defense system comes at an astronomical cost, building a system to defend against ballistic missiles of powerful nations is like shoveling sand against the tide. Therefore, we have reached a situation where the United States must depend on mutual deterrence with Russia and China. China also considers mutual vulnerability to be the basis of its strategic relationship with the United States. Given this, THAAD is not meant to pose a military threat to China. Some Chinese, including some within Korea, argue that THAAD may be a threat to China due to the AN/TPY-2 X-Band radar needed in the THAAD system, which has the capability to identify missile threats at ranges up to 1,000 kilometers, including detecting China’s movements. They argue that the US proposal to deploy THAAD to South Korea is for this purpose. However, the surveillance is actually done by dozens of satellites currently operating. The purpose of having a radar system is not for surveillance. It is for detecting and tracking flying objects. Moreover, two AN/TPY-2 radars with similar specifications have already been installed in Japan and the UHF long-range EWR based on AN/FPS-115 Pave Paws, known as the world’s strongest radar, was constructed in Taiwan in 2009. This radar in Taiwan can simultaneously detect 1,000 targets within a 3,000 kilometer radius. With the radar’s construction completed in five years, Taiwan invested approximately USD 1.2 billion. Even though China was not happy about the installation of those radars in Japan and Taiwan, China’s reaction was not as strong as it now is against Korea. The argument that the purpose of deploying THAAD to South Korea is to intercept China’s missiles lacks any real basis and will not be reviewed further in this article. THAAD provides the capability to intercept and destroy ballistic missiles inside or outside the atmosphere during their terminal phase of flight, meaning it does not intercept the phase of launch and ascent of ballistic missiles or their flight outside the atmosphere. The program of interception during the ascent phase was deemed impractical, and the United States stopped funding it. THAAD is a defense system that can be used only against missiles entering South Korean territory. The US ballistic missile defense system is neither aimed at China nor has the capability to be so. Considering the irrelevance of THAAD to China, why is China exerting pressure on South Korea to oppose it? There are two main reasons. First, considering South Korea’s domestic politics and the current situation in Northeast Asia, it is highly possible that China considers Korea as the weakest link among the Northeast Asian allies of the United States, and in this circumstance, believes it could trigger the collapse of the US alliance system. It is not likely that this incident concerning THAAD would lead to weakening the ROK-US alliance, but there is still the possibility that China would take similar actions in the future to challenge the alliance, using this experience as part of its strategy. Considering that ample voices in Korea support China’s opposition to the deployment of THAAD and the weakening of the US alliance, Chinese attempts to sever South Korea ties with the United States are bound to continue. China’s intention from this is to assess how much pressure can be applied to South Korea to strain the ROK-US alliance. Second, China aims to prevent any change to the current strategic situation on the Korean Peninsula that could result from changes to South Korea’s missile defense system. North Korea’s continued development of ballistic missile capabilities and nuclear weapons has put South Korea at a strategic disadvantage. South Korea is able to respond to this through the US extended deterrence, but in comparisons of the existing military strength on the Korean Peninsula, North Korea can be said to be in an asymmetrically beneficial position due to its missile and nuclear capabilities. This has allowed it to participate in coercive diplomacy efforts and provocative acts. Therefore, any change to South Korea’s defense capabilities to deter North Korea’s missiles—thus changing the strategic situation in the region—is highly undesirable to China. How should South Korea respond? First, it should express its position that THAAD is irrelevant to China’s strategic goals. In 2015 we cannot sustain the strategic ambiguity that there is no official US proposal for the deployment of THAAD to South Korea, and it has not been officially negotiated or discussed. We have to argue that this consideration of cooperating with the United States on THAAD is only for our own security. We also need to assert that China’s attitude regarding the matter can be interpreted as siding with North Korea even if that is not what China wants. Second, South Korea should place greater emphasis not on the dispute over whether deploying THAAD means participating in the US missile defense system, but rather on the discussion over whether THAAD is essential at this stage with respect to South Korea’s security and budget situation, and most importantly, North Korea’s missile threat. We have to clearly explain our threat assessment and affordability. The argument that THAAD is a US missile defense system because it was not originally planned to be part of the existing Korean Air and Missile Defense system (KAMD) should be put aside. Instead, we need to establish missile defense strategies and policies adaptable to varying levels of attack by North Korea and the ever-changing threat of North Korea’s missiles. Third, it is inevitable that domestically the issue will become more who pays for how much for the deployment of THAAD. The Minister of Defense stated that we do not have any plan to purchase the THAAD system. As Admiral James Winnefeld, vice chairman of the Joint Chiefs of Staff, mentioned last year, “in a world of declining budgets, it’s likely we’ll come to rely more on those partners to resource the means for their defense, as we work closely together on the ways.” Though it is now going to be deployment of THAAD in the USFK, many question whether it is going to be like the US investment in 2003 when PAC-3 was deployed in the USFK. The only channel through which Korea can contribute to this is the Special Measures Agreement (SMA), and it will be renegotiated again in 2018. The total amount is around USD 800 million, which cannot cover the estimated cost of delivering even one battery of the THAAD system. That uncertainty is a reason why much misinformation on this issue is being spread. It is important to clarify this issue between the two nations, before it is too late. 1. Oh Seok-min, “China Voices Concern over U.S. THAAD on Korean Soil,” Yonhap News Agency, February 4, 2015, http://english.yonhapnews.co.kr/national/2015/02/04/87/0301000000AEN20150204009900315F.html. 2. Foreign Ministry Spokesperson Hong Lei, “Spokesperson’s Remarks” (Regular Press Conference, February 5, 2015), http://www.fmprc.gov.cn/mfa_eng/xwfw_665399/s2510_665401/t1234787. 3. “Xi Pressed Park on THAAD System,” Korea Joongang Daily, February 6, 2015, http://koreajoongangdaily.joins.com/news/article/Article.aspx?aid=3000595. 4. US Congress, Senate, Nominations before the Senate Armed Services Committee, 110th Cong., 2nd sess., February 6; April 3; May 22; June 26; July 22, 2008, http://www.gpo.gov/fdsys/pkg/CHRG-110shrg46092/html/CHRG-110shrg46092.htm. 5. US Congress, Senate, Nominations before the Senate Armed Services Committee, 112th Cong., 1st sess., February 15; March 3; June 9, 28; July 19, 21, 26, 28; September 13; November 17, 2011, http://www.gpo.gov/fdsys/pkg/CHRG-112shrg74537/html/CHRG-112shrg74537.htm. 6. “US Troop Leader in S. Korea Wants Deployment of New Missile Defense against North,” Reuters, June 2, 2014, http://www.reuters.com/article/2014/06/03/usa-southkorea-missile-idUSL3N0OK0LO20140603. 7. The fourth mission was considered a collateral benefit of any ballistic mission defense but not a goal that drives system requirements. Making Sense of Ballistic Missile Defense: An Assessment of Concepts and Systems for U.S. Boost-Phase Missile Defense in Comparison to Other Alternatives (Washington, DC: The National Academies Press, 2012).